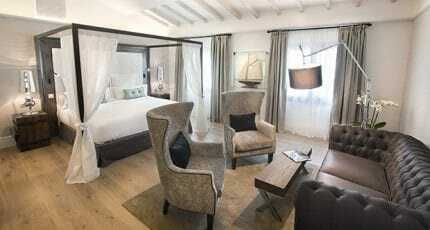 Like several good Palma restaurants, La Despensa del Barón is within a boutique hotel. 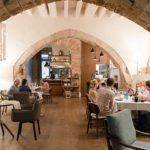 Posada Terra Santa, a former baronial mansion and listed Gothic building, was lovingly transformed into a superb 26-room hotel, opened in the Old Town in 2014. 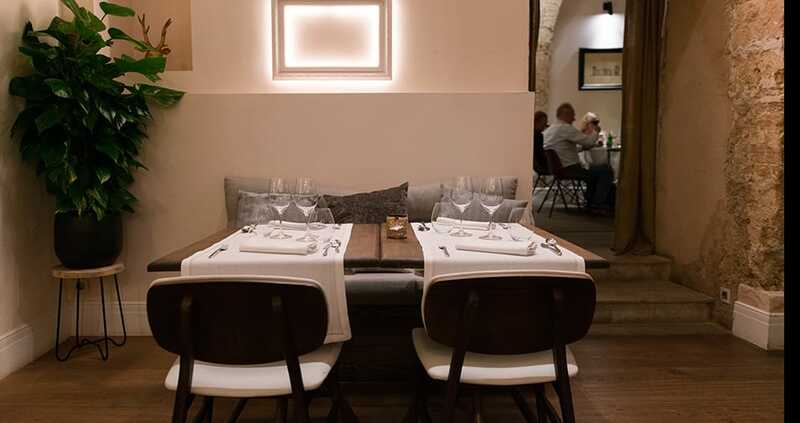 The restaurant has its own entrance in C/ Pes de la Farina – just a few minutes’ walk from Palma’s Plaza Major car park. It’s open to the public for dinner only (closed Mondays). 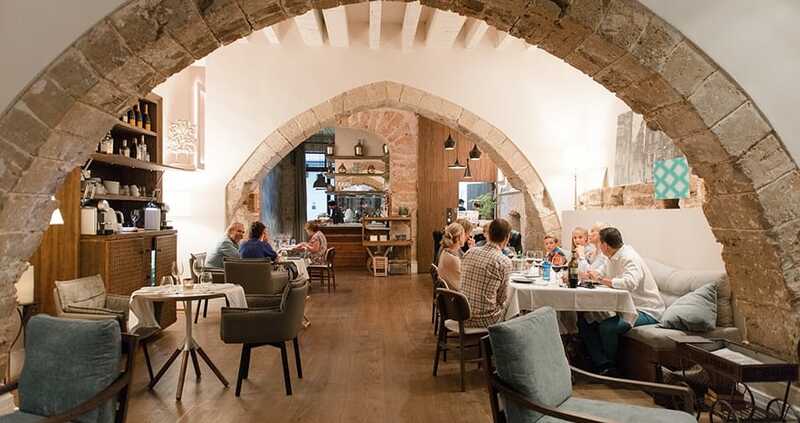 La Despensa del Barón’s restored Gothic stone arches and exposed stone walls harmonize with light-wood floors and contemporary furnishings. Tables are well spaced and a separate adjoining space accommodates groups of 8-16 diners. Stools for handbags are a welcome and rare touch on Mallorca. 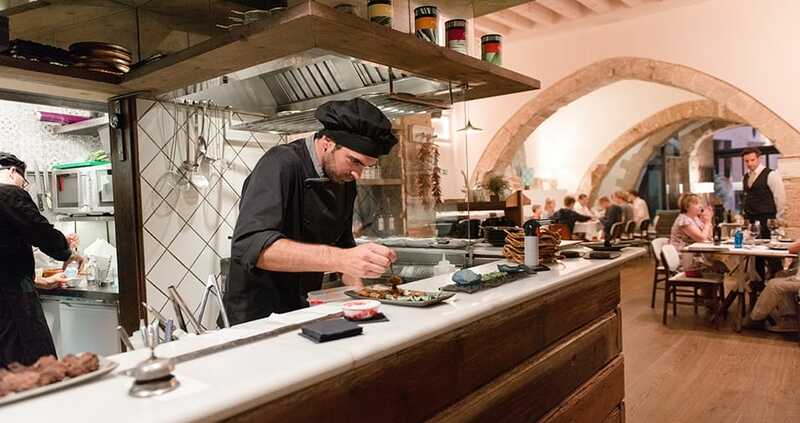 Argentinian chef Matías Provvidenti has worked in Japan, the Philippines, and Barcelona; it shows in the Mediterranean cuisine with South American and Asian influences. 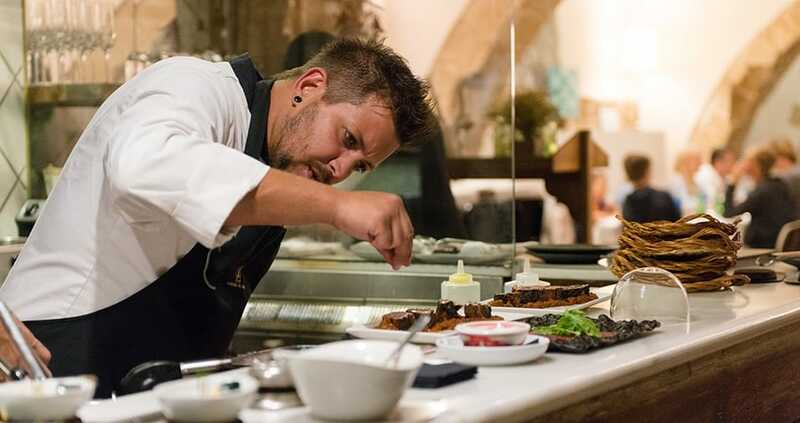 His food is based on high-quality produce – much of it local. 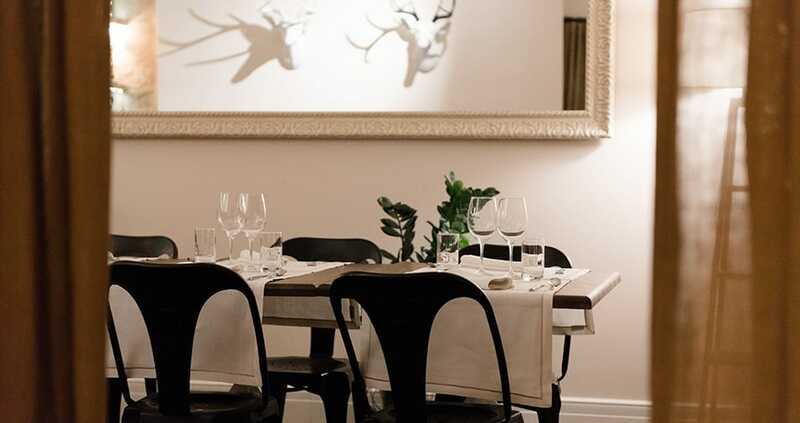 The à la carte menú includes a section of tapas as well as starters – including one suitable for vegans. A few additional dishes are usually offered. 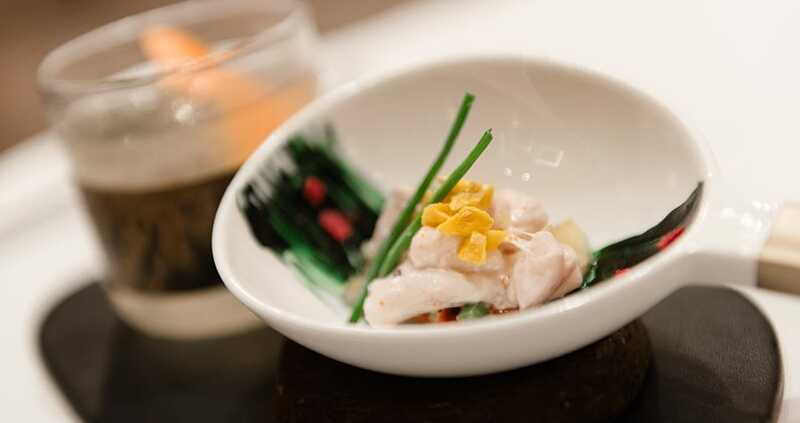 We began with a ceviche of grouper, perfectly partnered with a glass of sparkling Margarita. The ceviche incorporated calamansi – a citrusy fruit native to the Philippines (sourced via Barcelona). 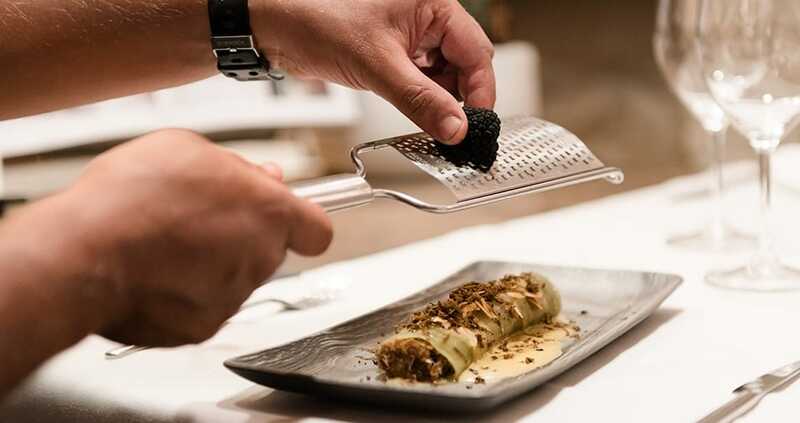 We enjoyed cannelloni filled with shredded confit of duck with caramelized apple, a foie and brandy sauce and almonds, and shaved Italian summer truffle on top. Rich and delicious! Venison is a rare find on Mallorca, so we tried the home-smoked venison carpaccio here, garnished with rocket and a redcurrant sauce, and presented at the table with a glass-dome cover – lifted to release the smoky aroma. 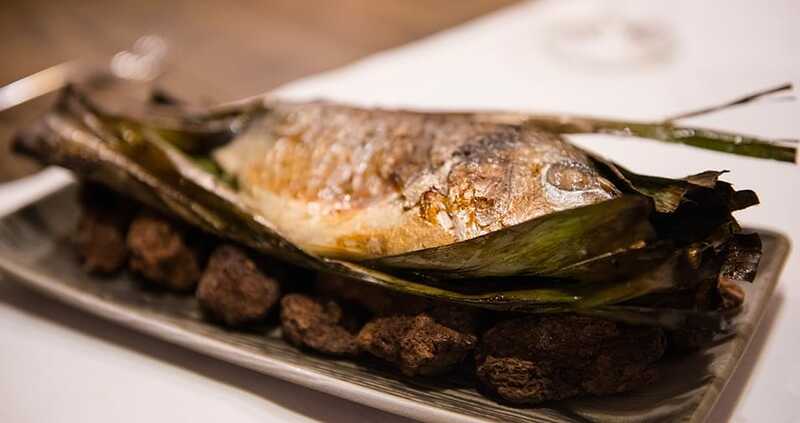 Two fish dishes followed: a superb red tuna tataki (sourced fresh from Barcelona), with algae salad and separate spheres of lemon and chili; then filleted sea bream cooked ‘en papillote’ in a banana leaf. It had a lovely citrusy sauce with ginger notes. One or two small bones had escaped the boning tweezers; we thought this delicious dish would work well with sea bass rather than the notoriously bony sea bream. 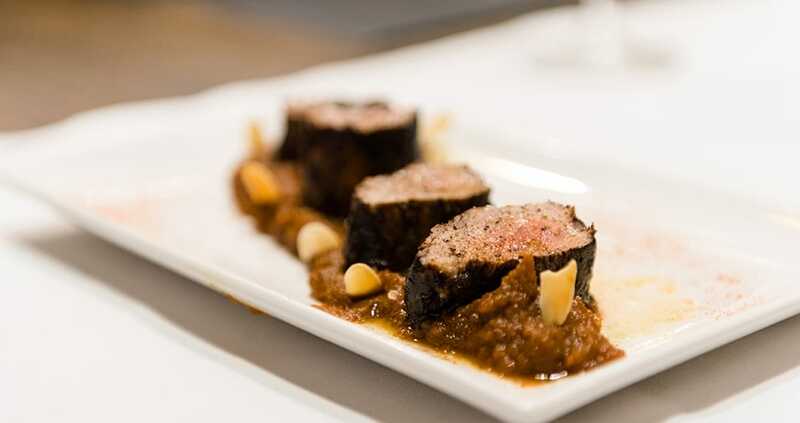 Our fillet of Mallorcan black pig, marinated in a Palo reduction and cooked at low temperature for 18 hours, came with a purée of purple carrot and red onion with almonds – the sweetness of which was the perfect foil for the pork. Next: a zingy sorbet of Sóller lemons, with lime and pink peppercorn granita. Matías – hugely enthusiastic about techniques and ingredients he uses – pointed out the accompanying Szchechuan pepper flower buds, suggesting we first try the sorbet, then chew one of the flower buds and eat the sorbet again. Check it out for yourself – interesting! An indulgent tiramisu with a coffee crisp concluded a noteworthy and good-value dinner. The wine selection may be quite limited but it’s interesting and prices are fair. And we admit to coveting some of the stylish platters and bowls used to present the food. 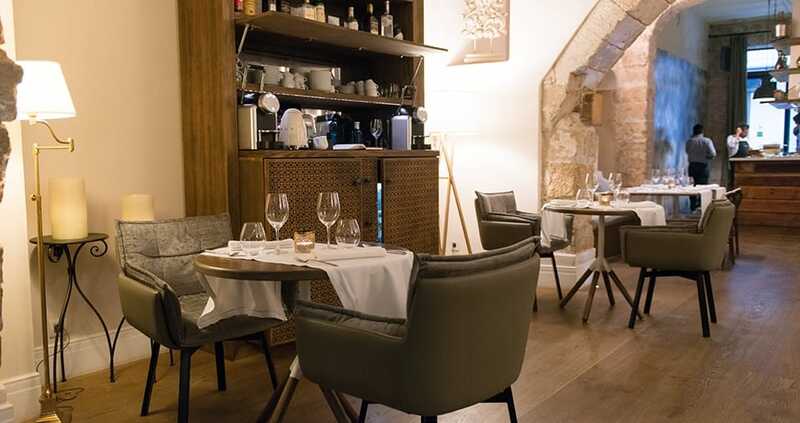 A dinner that is indeed fit for a baron awaits you at La Despensa del Barón in Palma. 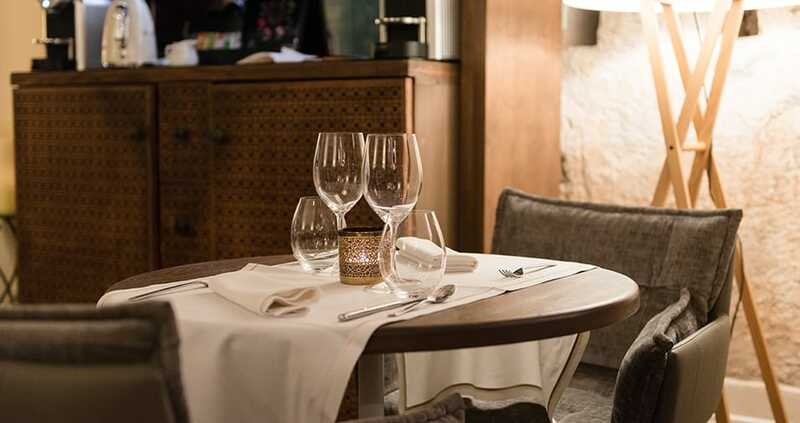 We hope you have found this article about the Dinner at Palma’s La Despensa del Baron useful and that you have many memorable stays in Mallorca as a result of our recommendations.